In my mind, condiments make a meal special. I love chutneys, garlic chili paste, and even weird stuff like fermented beancurd (check it out!). I’ve also been known to have five different kinds of salad dressing at one time, but it’s come to my attention that most store bought dressings are inferior. I won’t say I never buy dressing anymore, but I’m reluctant to spend money on things I know aren’t good for my family’s health. And I’m skeptical of any health claims on product labels. What’s so bad about store bought dressing? Soybean oil is ubiquitous in salad dressing. The biggest problem with store bought ranch dressing is that it contains soybean oil (as do many dressings). Consuming soybean oil increases inflammation (2). More importantly, over 90% of US soybean crops are genetically engineered to withstand heavy spraying with glyphosate (otherwise known as Roundup). Research shows the effects of glyphosate are toxicity (neuro, developmental and reproductive), cancer, and DNA damage (2). In other words, glyphosate is bad news and it’s in soybean oil. It may be time to move beyond ranch dressing. On a trip to Italy with my husband I overheard a young American woman ask the server if they had ranch dressing. With a puzzled look, the server said “We don’t have ranch dressing in Italy”. Everywhere we went there was in fact only ONE kind of dressing – the one you made yourself with olive oil, balsamic vinegar and salt they brought out to you! After doing this a few times, we got the hang of it. Now it’s one of our favorite ways to eat salad. Which got me thinking, making dressing from scratch can’t be that hard. But what if you want some variety? I hear ya! While I enjoy the simplicity of oil and vinegar, my daughter loves caesar dressing. We’re also fans of Japanese miso dressing. That’s why Pinterest is so awesome! I use it to collect lots of meal ideas and even have a board with salad dressings. My recent favorite is the caesar dressing from Once Upon A Chef. 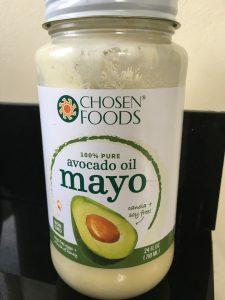 It uses mayonnaise, which often contains soybean oil – even those that say olive oil on the front – but not to worry because Costco has a tasty mayo made with avocado oil. So much better for you! Don’t let food confuse you. I hope this knowledge empowers you because you’re too smart to be confused by food. Don’t believe the health claims products make without checking it out for yourself. Reading the list of ingredients is the best way to do that. 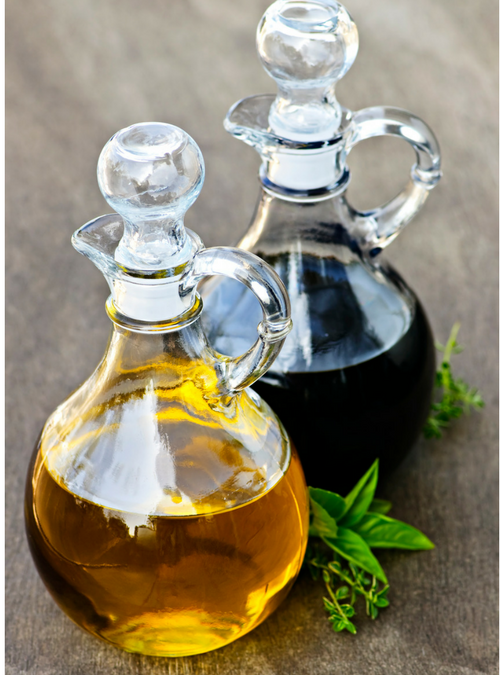 Try using good oils like avocado or olive oils for your salad dressings and share your favorite homemade dressing!